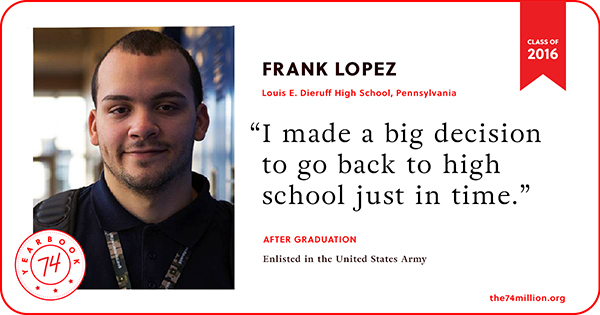 For 18-year-old Frank Lopez, graduating high school was not a given. Which is how in the middle of what should have been his sophomore year, Lopez found himself working in a meatpacking plant for pig legs. The monotony of the job gave him plenty of time to think about his future. 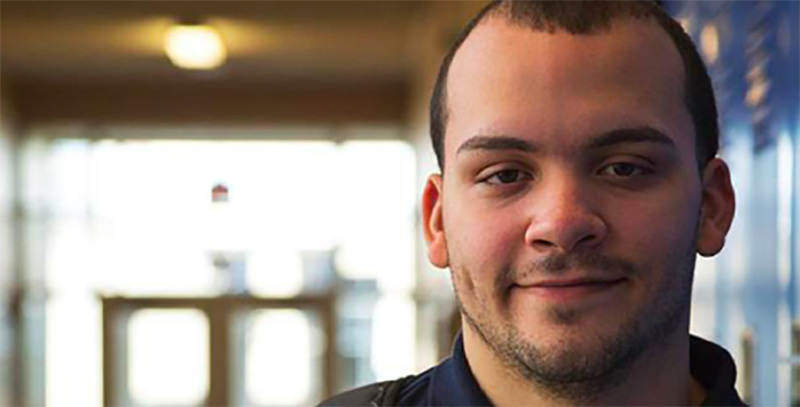 He re-enrolled at Louis E. Dieruff High School in economically distressed Allentown, Pennsylvania with the help of Jon Fenner, program manager for Communities in Schools, a nonprofit that works with schools to keep students in class and on the graduation path. It was the right decision, and one he took seriously. Lopez attributes this change in perspective to his girlfriend, Giselle Cruz, who he says was the one who got him back into the classroom. Congrats to Frank Lopez, graduate of the Class of the 2016. Good luck in the Army.